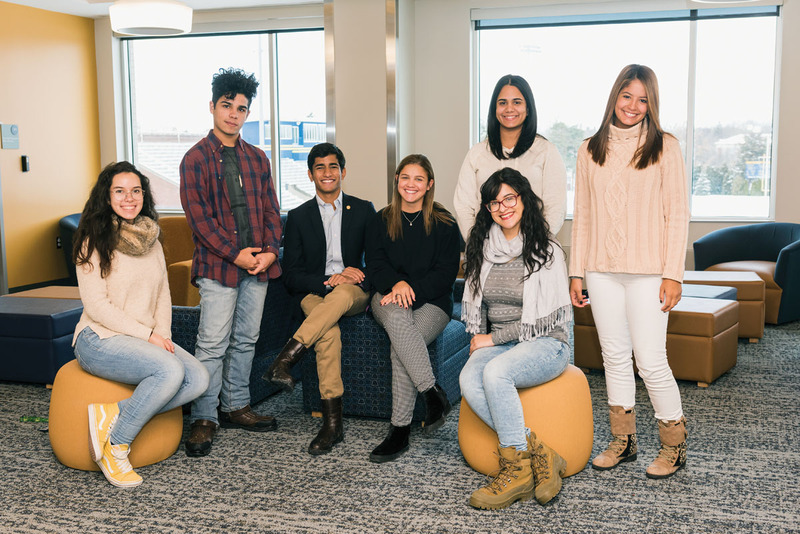 SPECIAL GUESTS: Puerto Rican college students are studying and living as guest students at the University this spring while their island home recovers from Hurricane Maria (Photo: J. Adam Fenster). More . 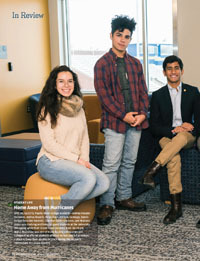 . .
Rochester welcomes Puerto Rican college students as guest students this semester. University Libraries showcases treasured artifacts on the occasion of Douglass’s 200th birthday in February. Novel nanomembranes, neuroprosthetics, and other breakthroughs. Poet James Longenbach’s new book of poetry ‘looks about,’ with clarity. An auditory exploration of the Erie Canal marks the debut of a new podcast series. Can I See the Charter? Renovations begin for the Eastman Community Music School, Italian studies gets a boost, and other campus news. Critic Robert Doran traces the roots of contemporary cultural politics. Nik Angyal ’19, a defender for the Yellowjackets men’s soccer team, marks a milestone. Chad Martinovich, previously MIT’s head coach, debuts in Rochester this fall. Jim Scheible marks a milestone.